Home / AMC / Synthetic Love: Can a Human Fall in Love With a Robot? Synthetic Love: Can a Human Fall in Love With a Robot? AMC’s new series, “Humans”, inspires us to ponder the very essence of love. 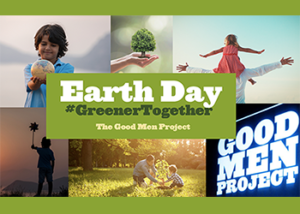 One reader will win $2,500 by commenting on this or the other GMP “HUMANS” articles! See the bottom of this post for the Rafflecopter button – leave a comment and then confirm by clicking through on the Rafflecopter button. Could you picture yourself falling in love with a robot? Like, head over heels, mad infatuation type love? If you did, would that be “real love”? Or is there even such a thing as real love? Let’s look why this seemingly unlikely scenario is much closer than you think—without even going warp speed into the future. 1) Falling in love over the Internet. Even for people who haven’t done it, you could imagine falling in love with someone over the Internet. You meet online. You connect. You share your history. You reveal parts of yourself. Your secrets. You talk. You become emotionally intimate. You might fall in love with the other person’s ideas, or the way they talk, or the sound of their voice. You imagine a life together even if you are miles apart. You create a life together, even if only virtually. You could love someone forever in that way. You might never meet them, but you could care about them, care for them, help them, love them—-you could have all that love without connecting human-to-human. What you are interacting with in your real, physical life, is a machine. But no one would question whether it was love. 2) Falling in love with someone who isn’t real. Or someone who is real, but the relationship is not. I remember being a teenager and “falling in love” with a boy we’ll call Rob. I was enamored of Rob and I imagined what our life would be like if we were dating. I had fake conversations in my head of what I thought we would say, places we would go, how we would touch. I imagined a dozen different scenarios for how it would start. I didn’t actually love Rob, of course, I loved the some abstract idea of him, and I loved the thought of having a relationship with someone and Rob filled that need. It’s no different, really, than when we fall in love with celebrities, or with characters in a novel or the stranger on the street. What we are really doing in those cases is falling in love with the possibilities of what our life could be like. Our life could be better. But regardless of whether you agree that the love is real—the feeling sure feels real. And what about the modern phenomenon of “Catfishing”? You fall in love with a created person. Even if someone one is creating a fake reality, even if you are being Catfished—people can and do fall in love with the idea of someone. The person isn’t real, but the feeling of love is. 3) Immortal, endless love….via algorithm. Software is already being developed where, in the not-so-distant future, an algorithm might look at all aspects of a person while they are living and create a way for the living to have conversations with that person after they die. It’s billed as being “Like a Skype call from your past.” The thinking is, if you know enough about any given person, you can create a most likely scenario of what that person would say or do in any given situation. Creepy? Yes. Love? That is the question. The interesting thing about relationships is that the people in a relationship change. But isn’t that the promise of artificial intelligence? AI grows smarter the more information that you give it. It adapts and changes as you adapt and change. And that can look a lot like love. Is there a difference, then, between “real” love and “synthetic” love? Is “artificial intelligence” really “artificial”? If a robot could learn from us what behaviors constitute love, if they could learn about how to behave when we are in love—then, theoretically at least—a robot could learn to love us back. Could you fall in love with a Synth? And we couldn’t possibly fall in love with a machine, could we? Now imagine yourself in a family where a Synth is in your home. And—yes, it’s a robot, yes it’s synthetic—but this Synth does things for you. There is no longer an abstraction of an idea. It’s no longer just an interaction with a computer screen. A Synth who serves dinner, who does laundry, who vacuums, who laughs at your jokes—is, in reality, making your life better, easier, happier. A robot is actually caring for you, and doing things uniquely suited to your needs. A robot is doing things that are often equated with acts of love. When two humans are in love, we talk about connection and communication and anticipation of needs and putting up with each other’s flaws and faults and quirks. AMC makes Humans even more uncanny by creating each of the “Synths” to be completely different, like humanity. Each has its own personality, its own set of faults and flaws and quirks. There are all the trappings of love, and then, added onto it, there’s a uniqueness, there’s an ability to communicate, and there is a someone who looks after your every need and makes your life better. Which would be the lesser love? Loving a living human who is not really real—or loving a robot who does appear to be? Will this give us more opportunities to really fall in love? Can we use robots as “practice” love? Will connecting with “fake” humans expand the way we can connect with real humans? “So what happens now?” As technology changes almost faster than we can process that change, we have to keep asking ourselves that question. AMC’s Humans explores that fascinating space where love and technology collide. Watch the series premiere of Humans Sunday, June 28 at 9/8c on AMC. Readers also have the opportunity to win $2,500 during the week of June 21 to June 28. 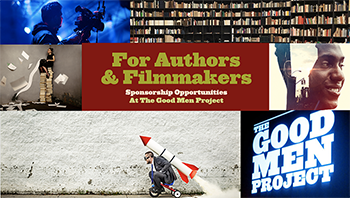 Fans are encouraged to post their thoughts here (and confirm with Rafflecopter below), on the four HUMANS posts on The Good Men Project, and one comment will be chosen at random for the grand prize. 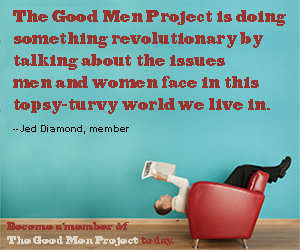 Lisa Hickey is CEO of Good Men Media Inc. and publisher of the Good Men Project. "I like to create things that capture the imagination of the general public and become part of the popular culture for years to come." Connect with her on Twitter. I don’t believe real love is possible when the object of our affection is only the object of our affection because they satisfy our every selfish personal desire or whim. Real love is about so much more then making sure we find the path to our personal happiness in the most easy way possible, by making sure that others are formatted to fit what we personally desire. The day people fall in love with robots is the day we loose pieces of our humanity. if anything my capacity to fall in love with an android or synthetic whatever you wanna call it would be higher than with a human. i would program her to be as close to human as possible, while toning down on some of the more evil aspects that humans are known for, the seven sins for example. I foresee a SCOTUS deliberation over this very issue. Assuming that consent is possible on the part of the robot, what happens to the human in the relationship when their partner becomes real instead of a pre-programmed fantasy? What happens when a robot (without the limitations being human causes) is capable of doing things relationship wise no human can do? (i.e Samantha from her being involved with 641 people). 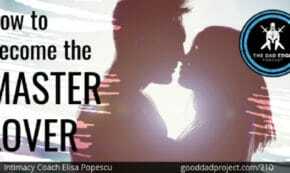 What happens when that fantasy of the perfect partner shatters? Thanks for the article Lisa, very interesting point of view on how we already seem to fall into this thing we call “love” when we take some of the human element out of the equation, i.e. chat rooms, etc. I think it is definitely possible, especially because we can give human characteristics to a machine (eventually) like empathy, fear, and anxiety. The only problem I may for see, is the natural chemistry (hormones, etc) being an issue because those play a large role in our ability to care for someone or be attracted. At human adult level A.I, yes people could fall in love with robots or A.I. In the future I suspect there will be a merging of human brains with A.I consciousness/es to lead to a technological ascension. I think this is completely possible. I think a better question is, is this healthy? If we’re able to create a lover for ourselves, will we be able to fall in love with our fellow humans anymore? I like to think we’re all kind of robotically motivated. Kurzweil, the keyboard maker and artificial intelligence guru dude says eventually life will all be online, like the matrix. So, there’s that. I like watching the robotic movements of humans tethered to their smartphones as they smack into each other while walking down the street, heads down, life passing them by. In the not so far future I think there definitely would be people falling in love with synths. Imagine if you can program to your liking. What if they learn and adjust to please you. They might even fight for equality and people will be marrying robots. I don’t think it’s too far fetched. Frank Herbert had it right. Outlaw thinking machines. The worst case scenario is humans become extinct. The best case scenario is we end up on game preserves with us as the primary game attraction. The movie “Ex Machina” deals with some similar themes. Brilliant movie with some very interesting commentary on what human interactions with an artificial intelligence might look like. I was *just* going to comment on “Ex Machina.” I do think it’s possible, especially since artificial intelligence gets more and more “human” and less “robotic” every day. The real question is, if man creates machine in his likeness, can machine fall in love with human? The thing is that we often “fall in love” with our idea of a person. We aren’t in love with THE PERSON, but we are head over heels for what we believe that person to be. It’s real love (I think) but it isn’t love of the person. So if you fall in love with what you imagine a robot to be, but they aren’t that, then are you in love with a robot? It’s a form of narcissism really – in love with a reflection of our own ideas rather than our own faces. This is an interesting idea for a show considering the technological advances occurring in the field of AI. I think it’s definitely possible that robots will someday develop to have minds matching those of humans. In this situation, it would certainly be possible to fall in love with one, although I’m not sure it would be a good idea….brings up tricky questions about consent. Something to discuss, though.